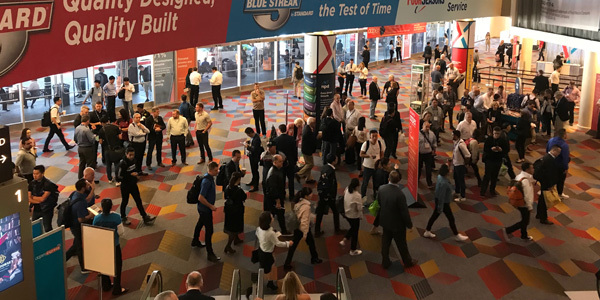 Registration is open for AAPEX 2019, the world’s gathering place for the more than $1 trillion global automotive aftermarket. AAPEX 2019 will take place Tuesday, Nov. 5, through Thursday, Nov. 7, at the Sands Expo in Las Vegas. To register, visit the AAPEX 2019 website. With more than 2,500 exhibiting companies, AAPEX is the showcase for the latest products, services and technologies that keep the world’s 1.3 billion vehicles on the road. More than 48,000 targeted buyers are expected to attend, including automotive service professionals, auto parts retailers, warehouse distributors, service chains, automotive dealers, fleet buyers and engine builders. Approximately 162,000 automotive aftermarket professionals from 126 countries are projected to be in Las Vegas during AAPEX and the SEMA Show. Online registration is $40 (U.S.) through Friday, Oct. 11, and attendees are encouraged to use the new live-chat feature for assistance. Registration includes access to the AAPEX trade show, as well as: AAPEXedu sessions; the Advanced Driver Assistance Systems (ADAS) Forum; the New Product and New Packaging Showcases; Mobility Garage underhood and alternative-fuel vehicle training; the Technology of Tomorrow section; Let’s Tech presentations; the Virtual Vehicle Challenge; and the Service Professionals Summit.